The moon has always been seen as a place where nothing persists. It’s a barren land with extreme temperatures and no air – life is impossible there. Or so we had thought all the time. But China has a way of defying odds and they did it yet again. The Chang’e-4 lander made a successful landing on the moon on the 2nd of January, 2019. Behind this expedition was a special idea – to see if life was indeed possible on Moon. It can be said to be the first biosphere expedition ever on a place outside earth. Cottonseed was used for this purpose. There was a special reason to bring cotton seeds in the equation – it is a flowering plant and it would be easy to monitor the growth and progress of the same. So, how did China plan all of it? It was an elaborate setting – they placed the cotton seed in an air-tight container. The container had everything from soil, water, remnant air and other seeds too, like potatoes and rapeseed. The seeds lay dormant during the flight and only when the lander touch down did the astronauts began watering the plants. The inside of the container was monitored with two cameras and a heat-control system. 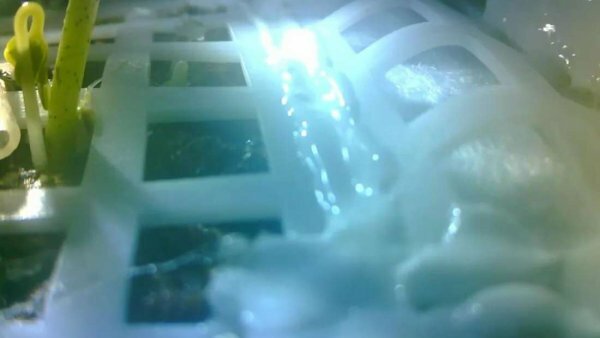 And then the impossible happened – the cameras captured the germination of a cotton seed – the first plant to grow on the moon. It happened a day later after the touchdown, on the 3rd of January, 2019 – which can be marked as another historical day when China was able to push the boundaries yet again. 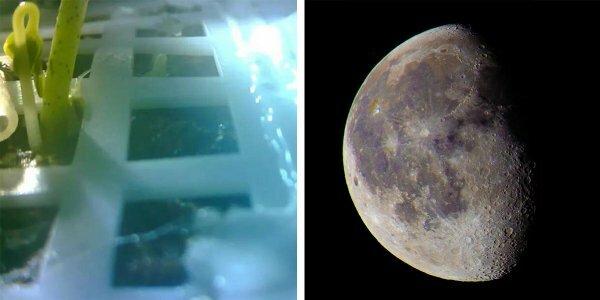 Not only has the landing brought some beautiful space images back to earth, but it has also sent some impossible images of the first biosphere development that took place on the moon. The plan was all set – they would use fruit flies as consumers of the plants while yeast was put in the canister so that the carbon dioxide level could be regulated. The potatoes were kept so that there could be a proper food source for astronauts. It’s a great plan for the survival of astronauts on space. The speculation was that if this turned out to be a success, then it would be possible to create settlements in space, have a proper agrarian economy and establish a space base. That’s what Professor Xie Gengxin had planned. It was all a grand plan to provide food source for the crewed mission that China wanted to send in 2030. Only if the seed was capable of surviving the low-gravity environment and keep growing as it does on the life-sustaining earth. However, all the plans went to waste. The plant could not survive for long – at sundown, the temperature dropped to as low as -170 degrees Celsius. It was impossible for a plant to survive at that temperature, even in the controlled canister. The other seeds like potatoes and cabbage did not even sprout. It was clear that there is no way that plants can survive on moon. Thus, despite all the wonderful planning of forming a human settlement on the moon, even in the form of a space base, now seems impossible. This might come as a terrible setback but we should not be disheartened by what happened. It is pretty clear that this remains a historical moment and can be described as a groundbreaking event that took place for lunar science. The experiment has completed and now the organic matter that is present in the canister will be left to decompose. There’s no doubt that China has gained another step ahead in the space race, even though the experiment brought in some disappointing results. Now, it’s just time to wait and watch what they are going to do next.
? Here Is Why The Nazi Party Drank Only Decaf Coffee People Are Demanding A Reality TV Show Where Flat Earthers Search For The Edge Of The World ?